All of our items come with a certificate of authenticity. We take great pride in our focus on accurately cataloguing and describing our pictures. We have many years experience of this and have catalogued many thousands of items, but nonetheless we are only human and make mistakes. 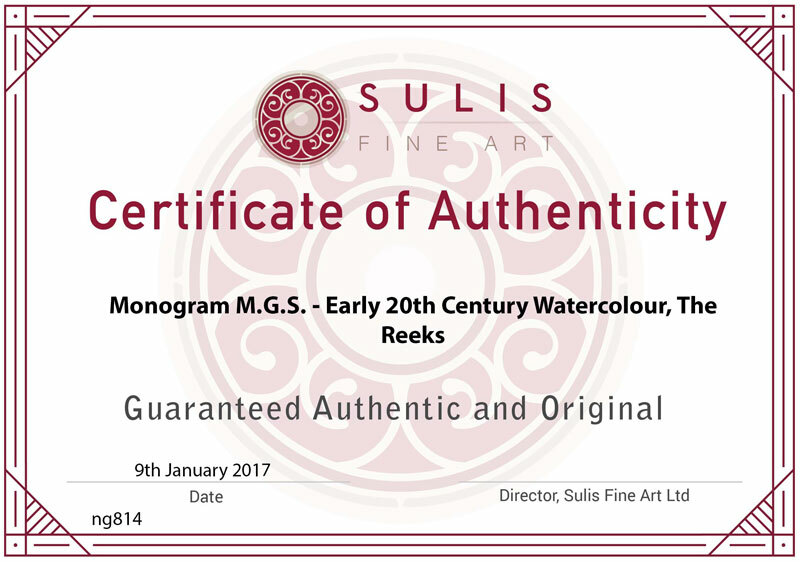 This certificate can be considered a guarantee that the artist, medium and date are accurate to the best of our knowledge and entitles the bearer to a full money back guarantee.